Once in a while you’ll hear of someone doing a digital detox, which implies there’s something toxic about being digital. And there can be, but “digital” misdiagnoses the problem. The problem mostly isn’t digital technology per se but how we use it. A single web page can induce a stronger sense of information overload than an entire library, even though the former contains a negligible amount of information compared to the latter. Twitter can be stressful in a way that RSS is not. Both are digital, but RSS is more active and Twitter is more passive. RSS gives you content that you have deliberately subscribed to. Your Twitter stream contains updates from people you have chosen to follow, but also unwanted content. This unwanted content comes in several forms: unwanted content from people you chose to follow, retweets, and worst of all tweets that people you follow have “liked.” You can turn off retweets from people you follow, but you can’t avoid likes . Twitter also has ads, but I find ads less annoying than the other unwanted content. When an item shows up in your RSS feed you make a choice whether to open it. But Twitter content arrives already opened, including photos. I’ll subscribe to someone’s RSS feed even if I’m interested in only one out of twenty of their posts because it is so easy to simply not read the posts you’re not interested in. But if you’re only interested in one out of twenty things people say on Twitter, then your stream is 95% unwanted content. Instant messaging and text messages are more stressful than email, at least in my opinion. This is another example of passive versus active. The more active option, while perhaps less convenient, is also less stressful. Text editors stay out of your way, but they also don’t offer any help. The Visual Studio IDE and the Emacs editor are both enormous programs, but the former feels more passive and stressful to me. Emacs, for better and for worse, is more active. It has thousands of commands, but they’re not staring at you on buttons. You have to type them. This makes it much harder to discover new features, but it also makes the software more peaceful to use. Using a computer is not the same thing as being online. As far as I know, nobody talked about the need for a digital detox before the web. People who say they’re worn out by digital technology are mostly worn out by social media. Computers have a few other uses besides being social media portals. In the television series Battlestar Galactica, the protagonists had a rule that computers must not be networked. Computers were essential, but they must never be networked, in order to prevent attack from Cylon androids. Some people have a sort of personal Battlestar Galactica rule, working for long periods of time without an internet connection. An alternative is to make disciplined use of an internet connection, for example, using it for email but not for social media. Unplugging the network cable takes less decision making and less discipline, but it’s harder to do. For example, it’s common for software to not have local documentation, so you may need to go online for help. Much of the stress attributed to digital technology comes from passive use of the technology rather than the technology itself. There are benefits to walking away from computers periodically that this post hasn’t discussed, but most of the benefits of a digital detox come from a social media detox. Now you can block likes: here’s how. First I should tell you I agree completely with you but have not framed it this way. I, for one, hate most IDEs. They grab your attention and they do too much. It’s like a Las Vegas casino–they never want to let you out. I like them for their debugging capabilities, but sometimes choose print statements or just a command line debugger. 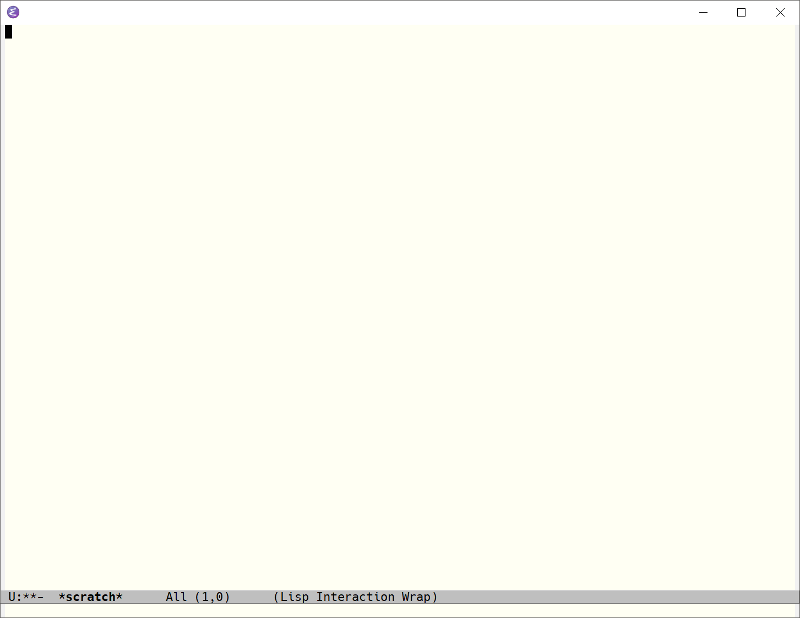 About Emacs, I was never a big emacser, always preferring VI(M). Emacs is big, and VI was small, never promising to do everything. Emacs required knowledge of LISP, something nobody else did. I would offer SublimeText as an alternative. It’s thin. It’s fast. It doesn’t do too much although some people rig it to do more. I can prettyprint Latex and run within. I can run python within it too. You don’t need a new language to customize it, since it’s written in python. It has tons of addins and, in spite of all this, is thin. No stress there. Turn off the notifications, put down the phone. Reward yourself for hours away from the internet. The slow world out there is more truthful in the long-run than the internet ever will be. Great characterization of the situation. I dumped all social media apps over a year ago, and now use only the web interface for Facebook, primarily because I have nieces and nephews who communicate nowhere else. Similarly, I dumped my IDE of choice (Eclipse) for Geany, a syntax-highlighting editor with basic tab-completion which runs pretty much everywhere and needs minimal configuration (even with plugins enabled). I also dumped C/C++ in favor of Python for just about everything I write, moving to C/C++ only when speed and size are vital (which is less and less the case these days with octa-core embedded ARM SoCs). Or when I need to write a device driver. My development platform used to be a dual-socket Xeon with 4 displays. Now it’s a 15″ i5 laptop. Without an external display. Getting rid of the “bling” encourages me to think more than do, and to do the right thing more often and sooner. However, I did miss some of the better aspects of shared messaging, so I moved to Mastodon, creating multiple accounts on multiple instances, one for each of my facets I choose to share. It’s been truly awesome, and is my last activity before going to bed. My Reddit addiction remains intact. I wrote Visual Basic Windows programs using the IDE very successfully, and very quickly, including the GUI, API calls, database interaction. The IDE is extremely useful once you get used to it and configure it the way you like. VB made programming amazingly easy, the context sensitive help, the “IntelliSense” cluing you in to the types of constructs that can be entered at the current cursor location for functions, loops, decisionals, etc. The IDE rocks. Mike, I agree that Visual Studio is great for what it’s designed for. 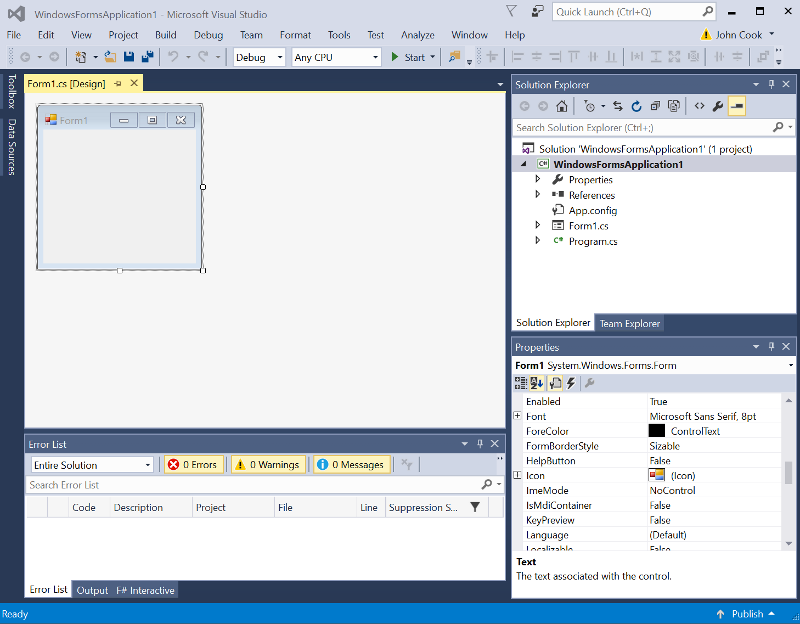 I used to develop Windows applications (C++, C#, and a little VB) and I can’t imagine doing that without Visual Studio. But I don’t do that kind of work anymore. John, this hits the nail on the head. I have a hard time even sitting in a room with a TV on. I can’t STOP LOOKING at the TV, because it constantly commands my attention, so the “Off” position is the only one I can deal with. The same thing goes for every aspect of social media. I have found that I really have to “wall myself off” to not get taken off task every few minutes. As I type this, an unknown phone number is calling. I’m actively choosing not to answer it. If it’s important, I’ll get a message. If it’s “spam”, then I won’t. The same thing goes for every piece of software that is cluttering up the screen with too much (completely unwanted) information or advertising, or pictures of someone else’s baby or his wonderful pet. Fortunately for me, my wife actually uses Facebook to keep up with friends. I just can’t stand to do it myself!